Knotty Tie designs and manufactures high quality, custom neckties, bowties, pocket squares and lightweight scarves, and in the process, fulfills a social mission: creating dignified employment opportunities for skilled resettled refugees. Founders, Jeremy Priest and Mark Johnson, started the company with the explicit mission of embracing refugees from various countries, including Iraq and Somalia. 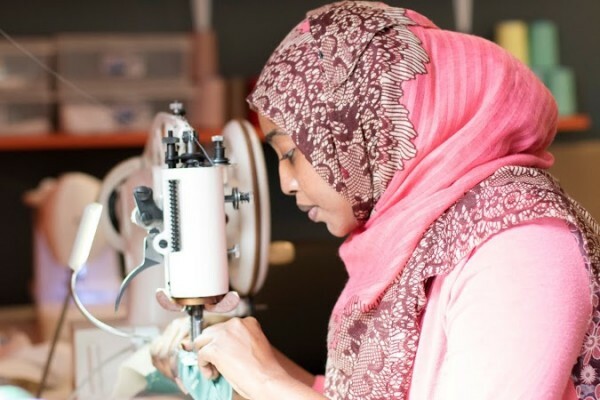 The company partners with a Denver non-profit training program, We Made This, which helps area refugees to leverage their existing skills into meaningful employment. The result has been transformational for the individuals who are employed at Knotty Tie — and for Knotty Tie, which has grown and prospered as a result of the partnership. Read more.